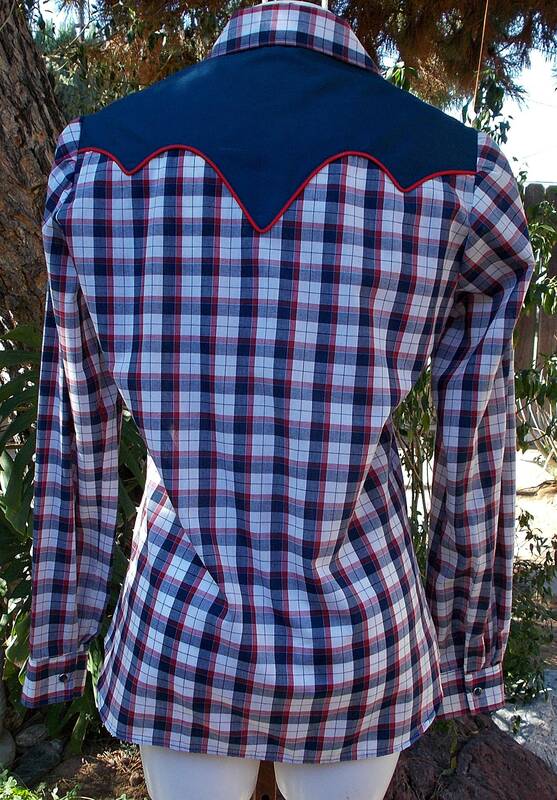 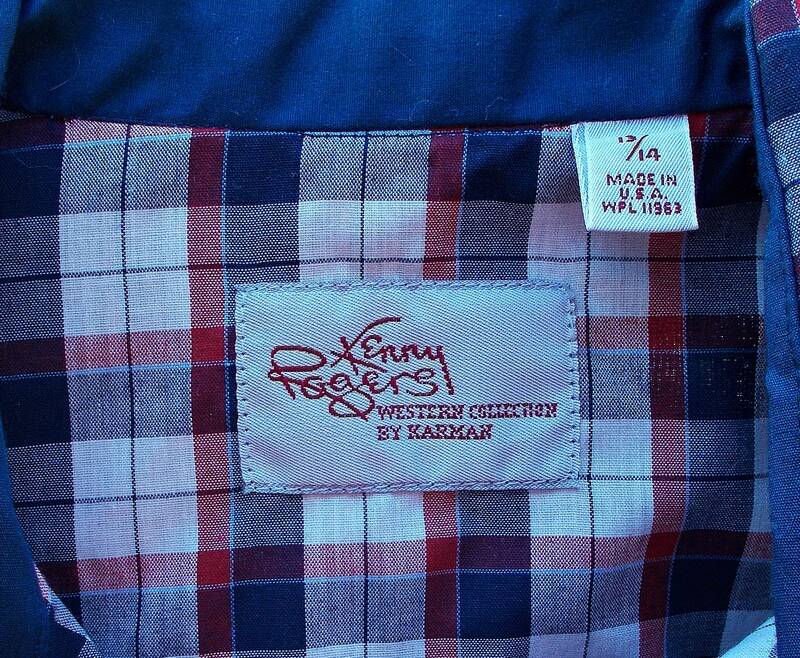 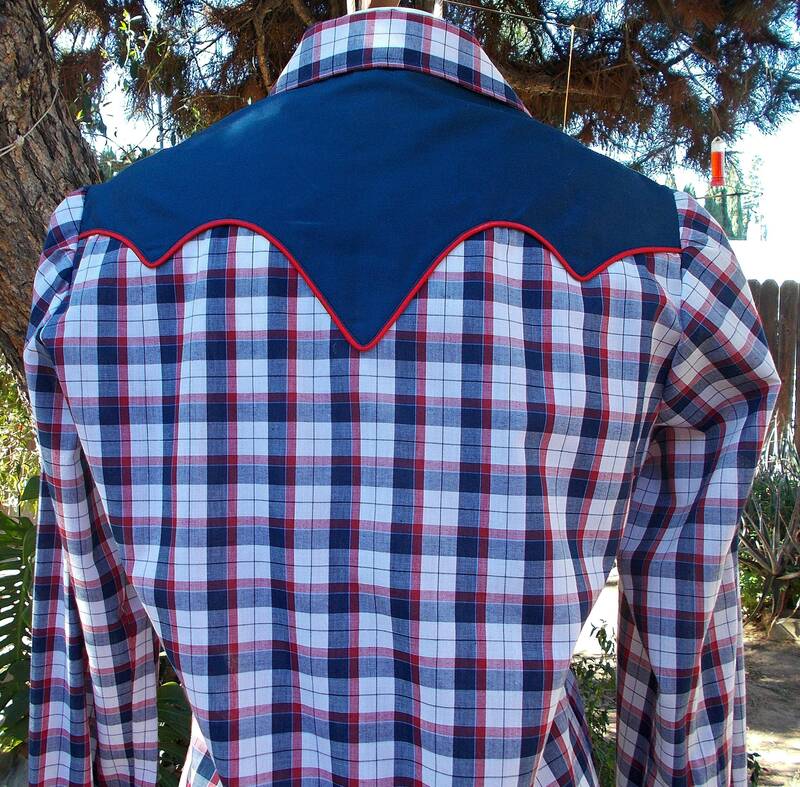 For sale is a Vintage 80's Kenny Rogers Western Collection by Karman Red White Blue Plaid Ruffles Women's Snap Shirt. 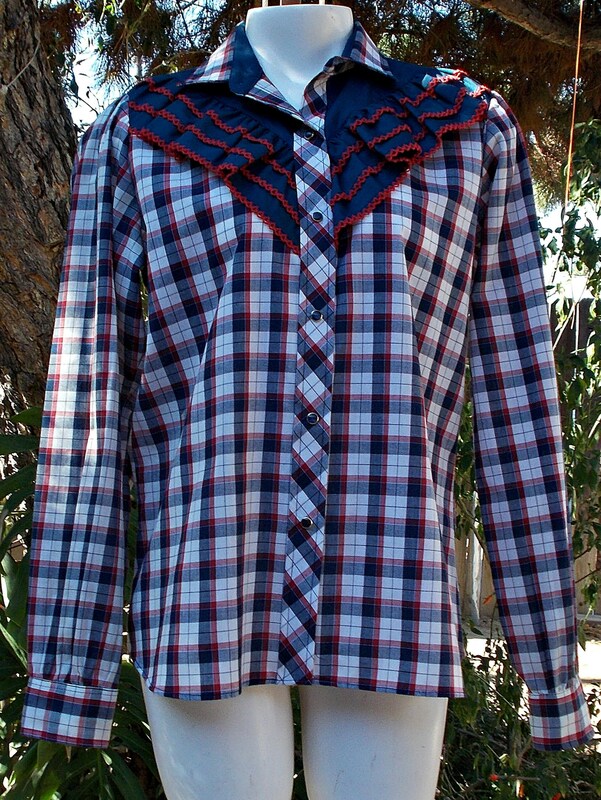 It is made out of a cotton blend material. 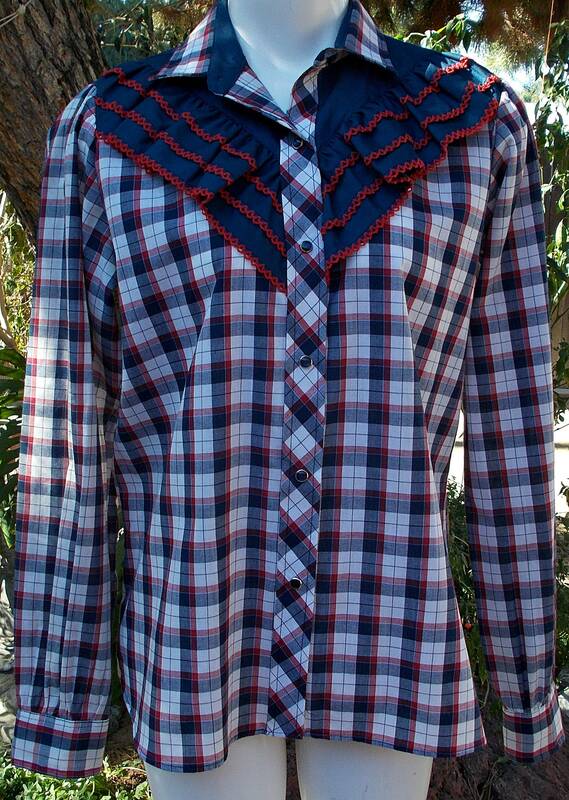 This shirt comes with blue red embroidered ruffled accents on the front bodice, snap buttons down the front and long sleeves. 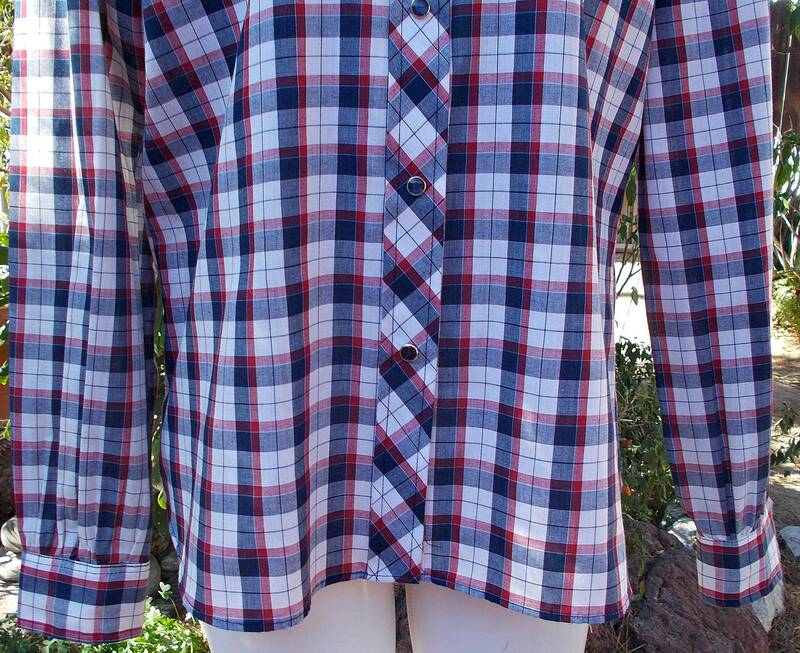 The shirt is in very good vintage condition. 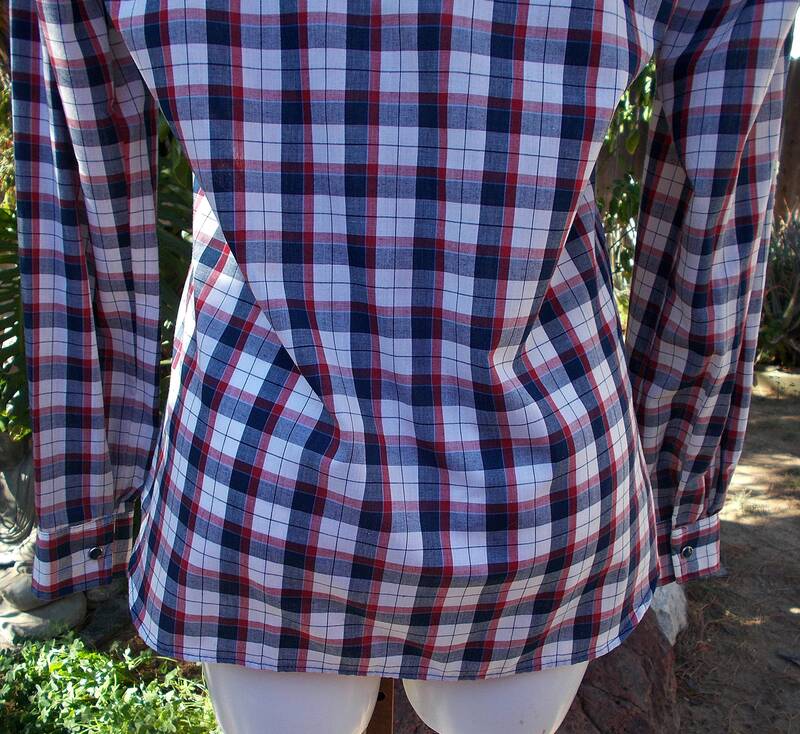 I leave any cleaning or pressing up to the lucky buyer. 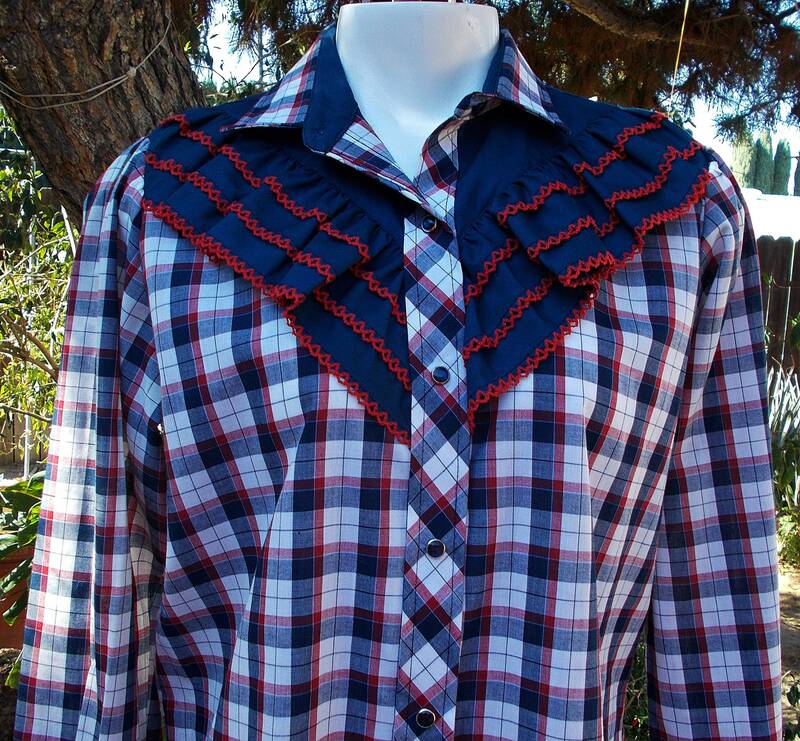 This will make a great addition to your Vintage 80's Women's Clothing Collection or a Nice Gift for Someone Special.